Whether you are creating an estate plan for the first time or making changes to one, be aware that how you plan to leave your assets may create tension in your family. Although the potential for conflicts can develop without a Will, different treatment of children or other beneficiaries as part of a well thought out and drafted estate plan can cause animosity among family members. Family conflicts may develop for many reasons, such as when a loved one chooses to unequally divide their estate, leaves money in trust instead of a lump sum, or disinherits a family member. 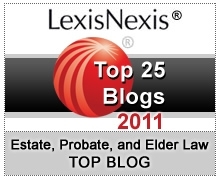 How can one manage family conflicts in estate planning? 1. Bring family together. Hold a family meeting that discusses the assets left to each child and family member. This will allow an opportunity for explaining important asset protection decisions and other considerations. These meetings also help to reduce tensions that could build later on should resentment develop between siblings. This is also an ideal time to bring up any existing health issues for which your family may need to plan. 2. Choose and talk with your executor and agents. Many conflicts can be prevented if your executor and agents have a clear understanding of your wishes. You may have updated your beneficiaries and neglected to inform them or your executor of the changes, which can cause confusion later on. When it comes to decisions for your medical care, who have you granted power of attorney and are they aware of their responsibility? 3. Use succession tools with an attorney. The types of trusts and business entities you choose to establish will offer different degrees of protection and benefits. For those who own family businesses, the interests of business partners and family heirs may conflict. Structure a business succession plan by working with a North Carolina estate planning attorney. Succession plans help preserve a company’s value for the business owners’ heirs. There are other planning techniques a lawyer can review with you that will greatly reduce the potential for family conflicts so that your assets are available for the family members you designate when they need them.